Bacteriocins have been suggested as an alternative to conventional antibiotics for the prevention and treatment of mastitis infections. Predominant bacteria associated with bovine mastitis (n = 276 isolates) were evaluated for their susceptibility to bovicin HC5, a ruminal bacteriocin produced by Streptococcus equinus HC5. 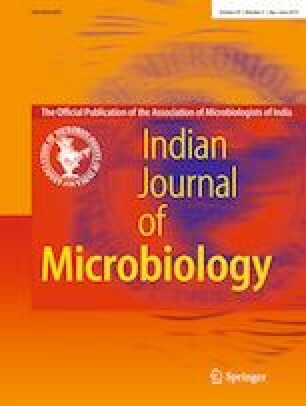 Bovicin HC5 inhibited most (> 80%) of the streptococcal and staphylococcal strains tested, but showed no effect against Escherichia coli strains. Susceptibility and resistance testing indicated that approximately 95% of the S. aureus strains were inhibited by concentrations of bovicin HC5 varying from 40 to 2560 AU ml−1. Bovicin HC5 (62.50 AU ml−1) also inhibited the growth of aerobic and anaerobic mixed cultures of S. aureus and S. agalactiae, but the combination with 0.25 mmol l−1 of EDTA showed even greater bactericidal activity. These results demonstrate that bovicin HC5 is effective against the most prevalent pathogens found in contagious udder infections and could complement the use antibiotics in mastitis prophylaxis and therapy. This research has been supported by the Fundação de Amparo à Pesquisa do Estado de Minas Gerais (FAPEMIG, Belo Horizonte, Brazil), Coordenação de Aperfeiçoamento de Pessoal de Nível Superior (CAPES; Brasília, Brazil) and Instituto Nacional de Ciência e Tecnologia de Ciência Animal (INCT -CA, Viçosa, Brazil). F.G.S. and A.A.T.B. were supported by a fellowship from the Conselho Nacional de Desenvolvimento Científico e Tecnológico, CNPq, Brasília, Brazil.